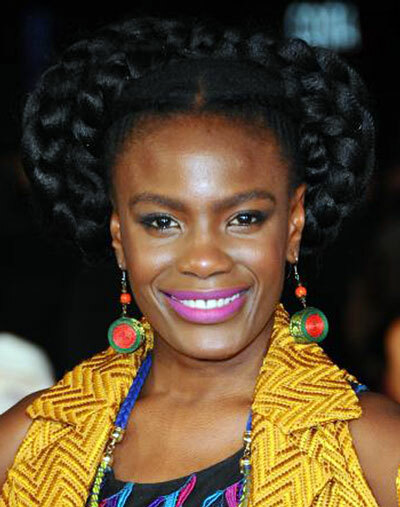 Noisettes lead vocalist, Shingai Shoniwa, is sporting a humongous milkmaid braid with a whole lot of oomph! Re-‘do: Evenly part the hair in the center and do a low ponytail on each section. French braid the right side until the end then tie with elastic to secure it. Do the same thing to the left side. Bring the two plaits from the sides all the way to the top, intertwine both before securing them with pins.